In the first panel, select the client. In the next panel, you'll see their ad campaigns as well as the client parameters (contact information, current discount). If an agency representative (i.e. 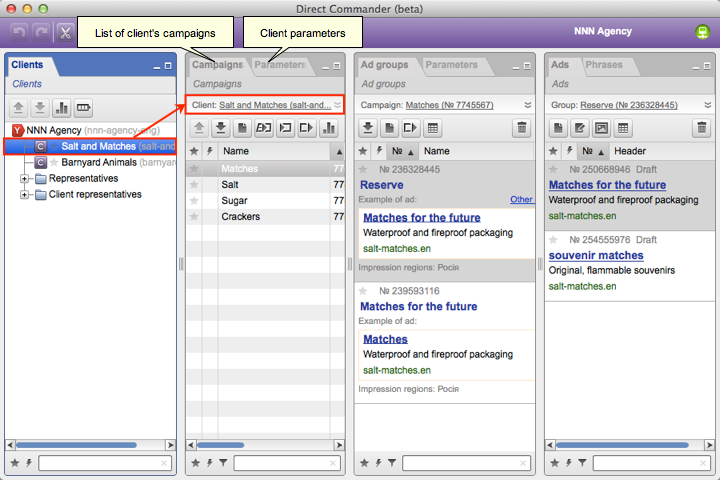 you), not a client, is selected, then the list of all ad campaigns available to the representative is displayed. This is useful when searching for a campaign. 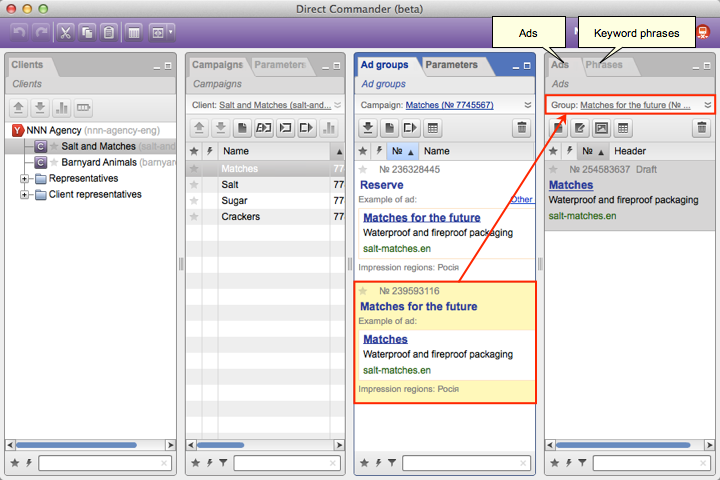 Select a campaign. 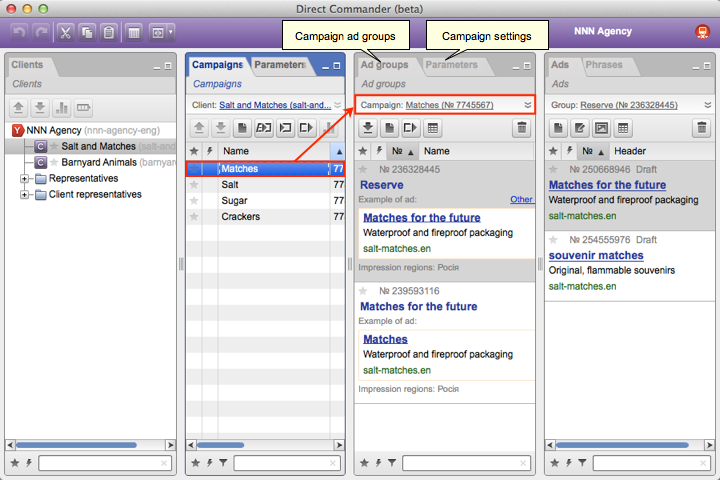 In the next panel, you will see ad groups and campaign settings.